Home Featured Articles Why Does It Feel Good to Shoplift? Shoplifting feels good. To many, it’s not just a means to an end, but a pleasant experience in and of itself. We see wealthy celebrities do it who could have paid. We see kids do it whose parents would have paid. Through hundreds of offender interviews, a few central themes have emerged that can help us to better understand this phenomenon. It’s commonly understood that shoplifting can be a thrill-seeking behavior. It’s like a little game you play with the store, and every time you get away with it you “win”. Much like the rock climber or the skydiver, the danger adds to the experience rather than detracting from it. The thrill of avoiding capture is intoxicating. We’ve been presented with a capitalistic economy and a series of rules and laws. To get ahead, you’ll need to follow a specific script. Get a job, make investments, slowly work your way up. It’s pleasurable to feel that you know something others don’t, that you’re outsmarting the system. Retailers represent something to shoplifters beyond being a provider of goods. Retailers are the “haves” in the “haves vs. have nots” paradigm. They’re the authority figure. They set rules, and we follow them. They set prices, and we pay them. They raise prices, and we grumble—and pay them anyway. They tell us our credit card is declined, they trespass us from their stores, they report us to the police. Shoplifting is a rare opportunity to flip the script on the “rule setters” of the world and stick it to an authority figure. Shoplifting is often a solution to being in a bind. The math isn’t adding up on this month’s budget. You’ll need to decide whether to turn off your cell phone or eat ramen noodles for the rest of the week. Most of the variables in that budget equation are unwavering. Your cable company won’t lower your bill for you. Your employer won’t give you any extra hours. But with shoplifting I can escape this bind altogether and forego that entire difficult choice and situation. What a relief! Shoplifting almost seems like a magic spell in some people’s lives. It can get them out of a bind, make them feel powerful when little else about their living situations do, make them feel smart, and even provide some thrilling fun in their day. As I’ve discussed in previous articles, shoplifting isn’t usually all fun and games, as it causes guilt that must be dealt with. Leveraging that guilt is one way to offset the attributes discussed here. Another great way to evaporate all of these fun aspects of shoplifting is getting caught. Finally, we as a culture need to decide that shoplifting isn’t okay. It’s not harmless fun, and it has real consequences. 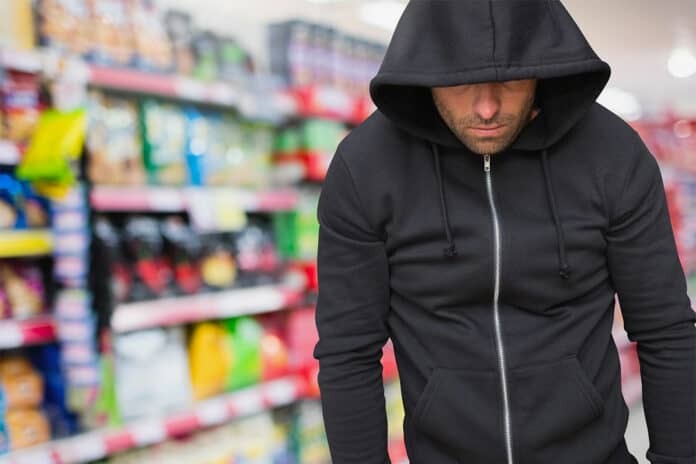 Public perception needs to shift on this issue, and those conversations can start with retailers discussing how they can word their signage and policies to help steer perceptions of shoplifting in that direction.